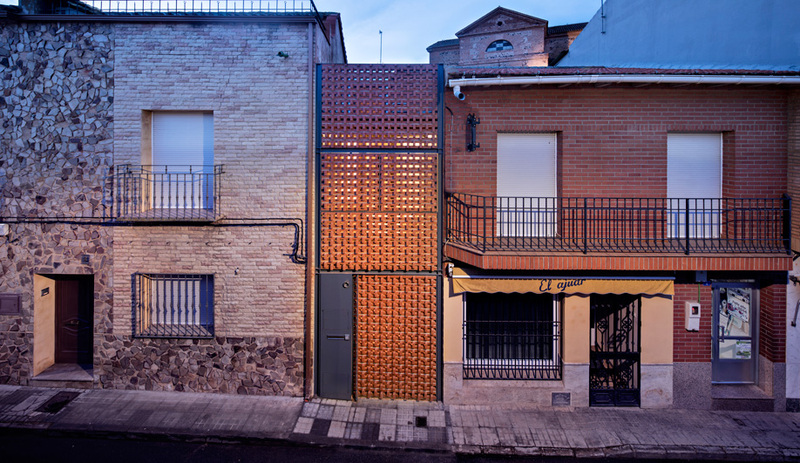 Casa Piedrabuena raises the question: why aren’t more projects like this narrow Spanish infill house? In tiny Piedrabuena, some 185 kilometres south of Madrid, a sliver of a home has become a local sensation. Urbanites returning home to visit their families are known to make a small pilgrimage to the two-storey house. 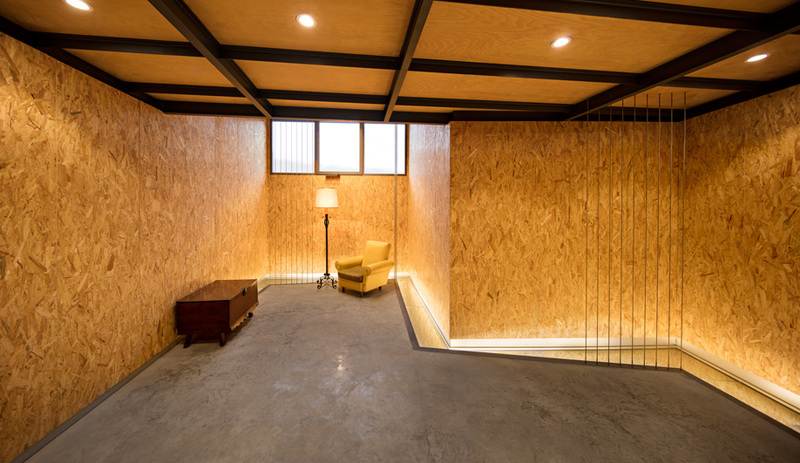 “The owner’s mother runs the local tobacco and lottery shop, and people come in and ask her about it,” says Moisés Royo of Muka Arquitectura, the Madrid-headquartered studio behind the project. The brick latticework creates a visual link between the two adjacent buildings. T-profile metal frames were used to support the embossed clay slabs and mortar. To the casual passerby, the home packs a visual double whammy. 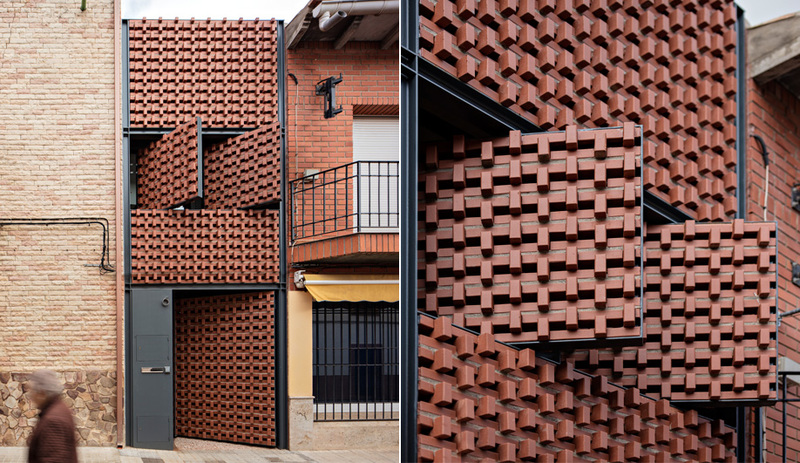 Its strikingly slender 2.4-metre-wide facade is textured with brick latticework that celebrates the local fabric – brick clads everything in the province of Ciudad Real, from homes to the central church. Royo created the “abstract” facade as a practical way to enhance sunlight and air circulation in lieu of conventional windows. 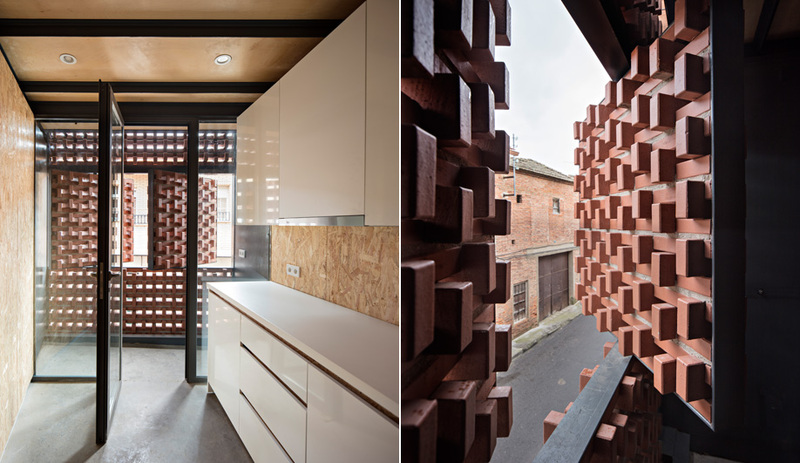 The four-pronged system includes pivoting openings on the second floor made of T-profile metallic frames slotted with bricks (or what are actually embosed clay slabs each measuring 20 x 10 x 10 centimetres). 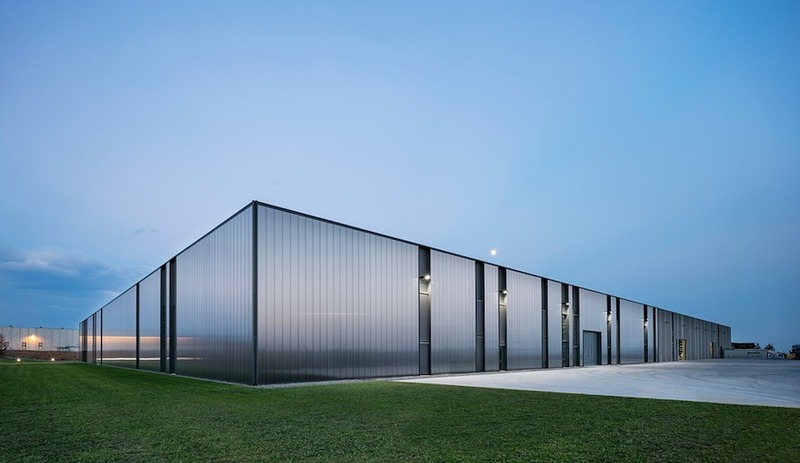 The materials, composition and dynamism were all chosen for a climate that can reach 38ºC in summer and -4ºC in winter: Ceramic is naturally cooling, and the windows mitigate heat gain, while the open-weave brise-soleil lets in light. Left: The upper-level kitchen adjoins the facade via a small terrace that is separated by a glass door and wall. Right: Unless they’re open, the two metal-frame windows are almost invisible to passersby. Casa Piedrabuena’s slenderness is an illusion, though. Beyond its 11-metre-long entrance corridor, the lot and house widen to reveal a generous live-work residence. 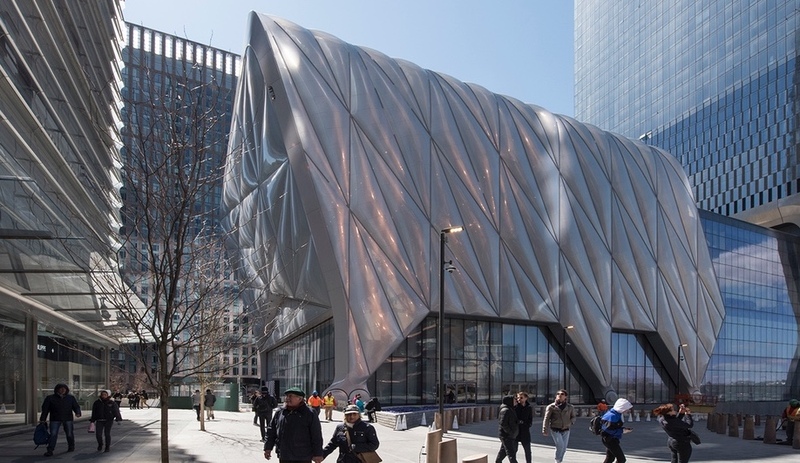 In renderings, its 55-square-metre footprint resembles a mallet with a long, slim handle and a blocky head. On the first floor, the narrow hallway leads to offices and a meeting room from which the owner runs his own agribusiness. On the second floor, the corridor is outfitted with a lengthwise kitchen that leads to the dining area, a bedroom and a bathroom. 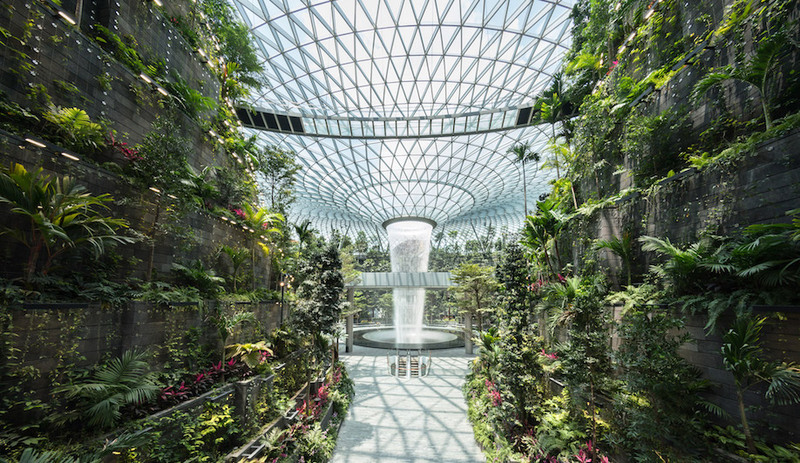 To funnel in natural light, there is a glass-filled gap between the ground floor’s sculpted ceiling and the concrete-slab wall. 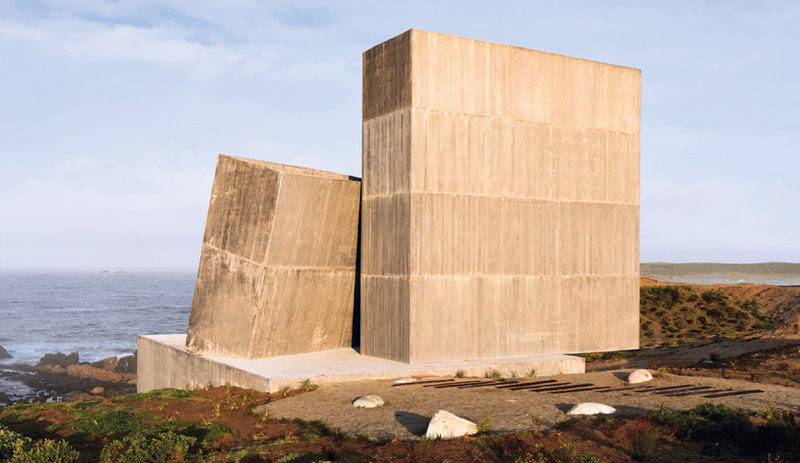 The interior palette was kept practical and economical: thermal-mass concrete floors and unfinished OSB walls that infuse the home with texture and warmth. This gem of a house may be in a remote part of the world, but it presents big opportunities for infill housing within any modern context. As Royo says, “We will need to learn how to live in cities with more density.” For his part, Royo and his firm have moved on to designing other innovative homes, including a second one in Ciudad Real that he says will explore an entirely new way of living. This story was taken from the January / February 2018 issue of Azure. Buy a copy of the issue here, or subscribe here.